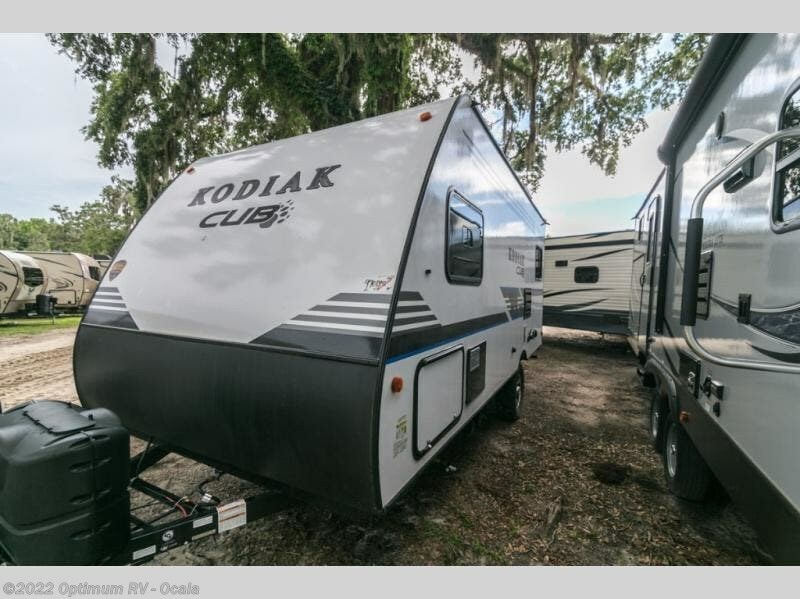 It's time to rethink your camping experience with this Kodiak Cub travel trailer. 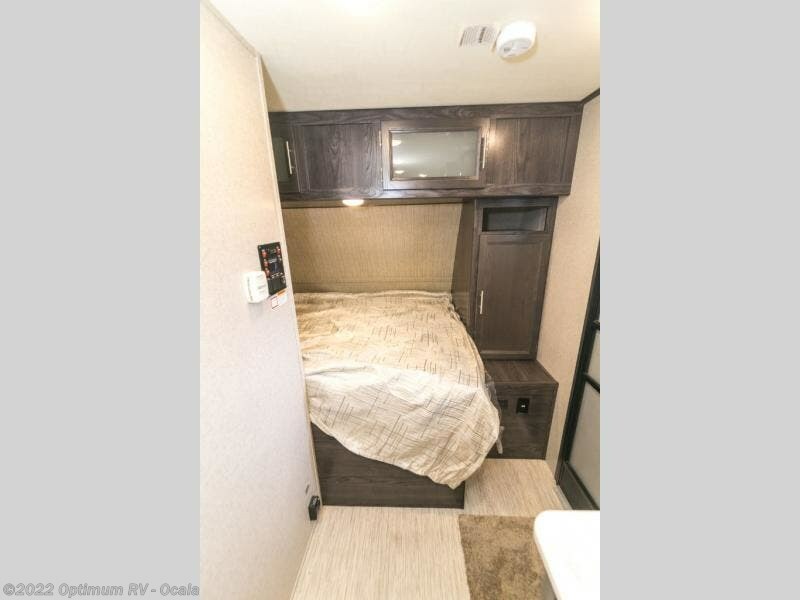 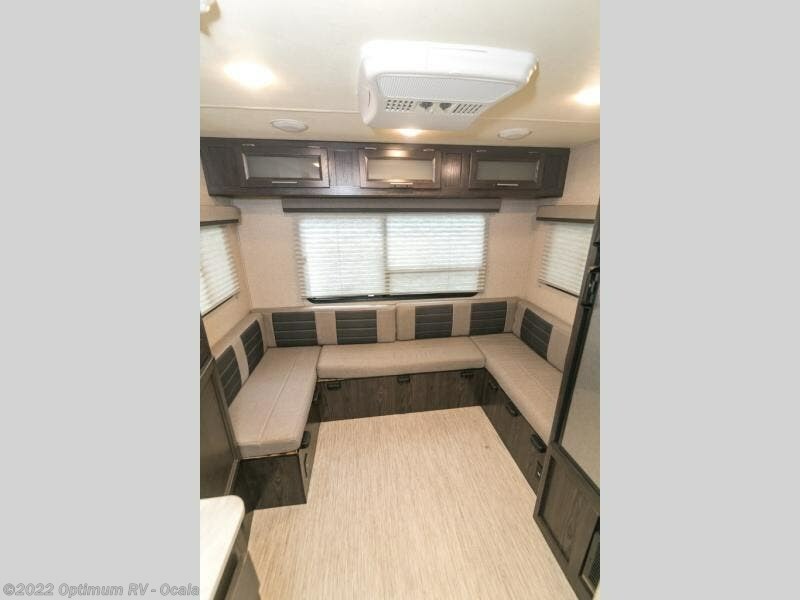 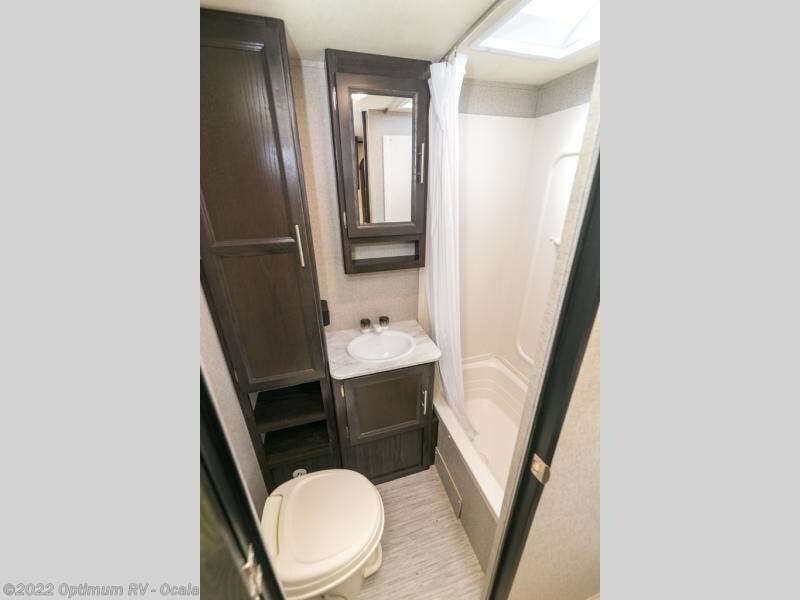 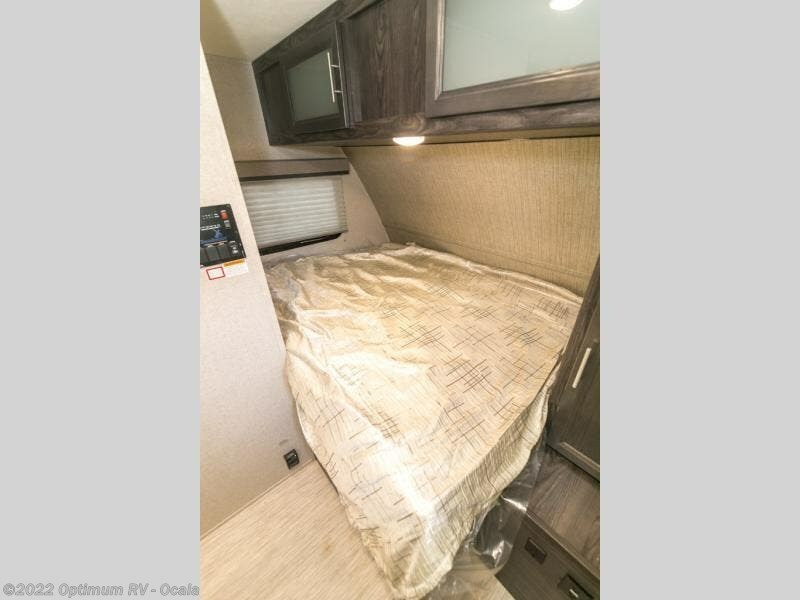 If you are tired of waking up to a wet sleeping bag or an aching back, then you will love spending your evenings sleeping on the queen-size bed or the U-shaped dinette, and all of that sleeping space means that this trailer has the capacity to sleep four people each time you travel. 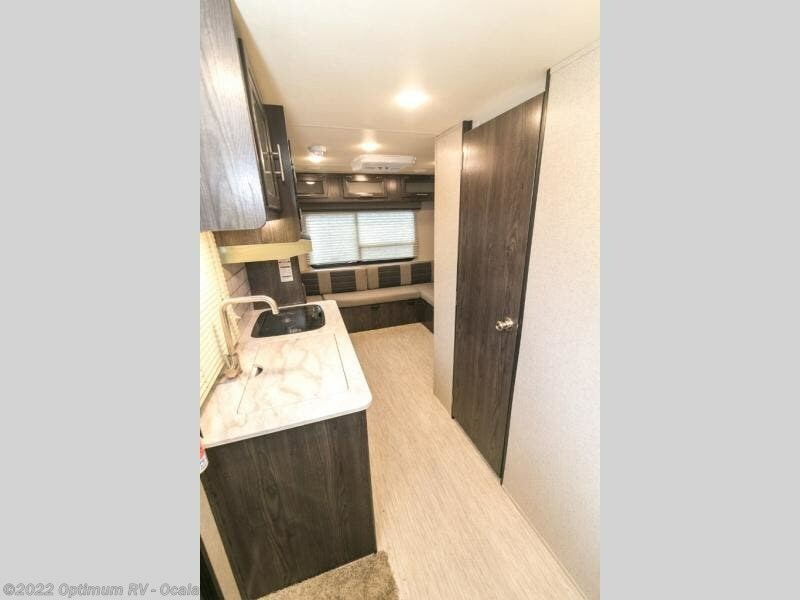 The full bathroom is a wonderful amenity to have when you need to clean up from a long day of hiking or fishing, and the full kitchen is exactly what you need to feed everyone's hungry bellies with a warm and hearty dinner cooked on the 2-burner range top. 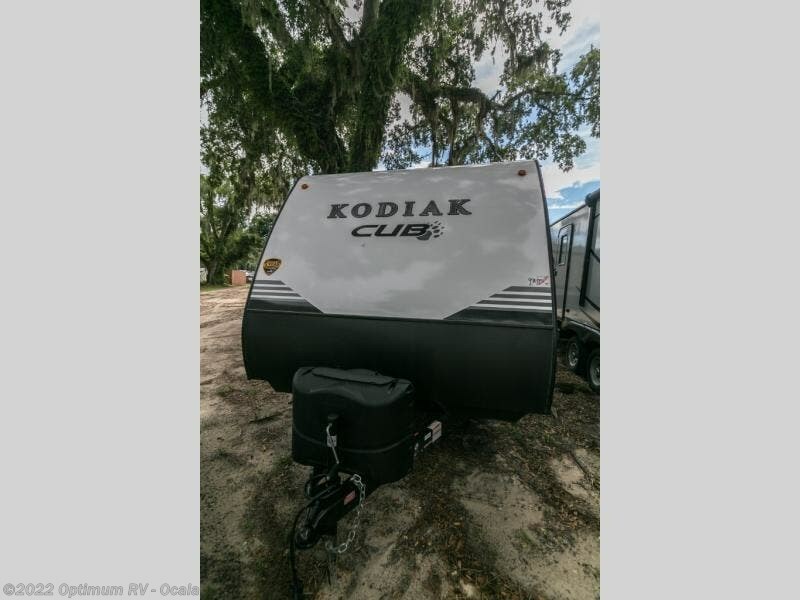 With any Kodiak Cub unit you will appreciate the modern conveniences and features that have been included, such as an exterior TV bracket, a solar charging port, LED lights over the stabilizer jacks, and an outside sprayer. 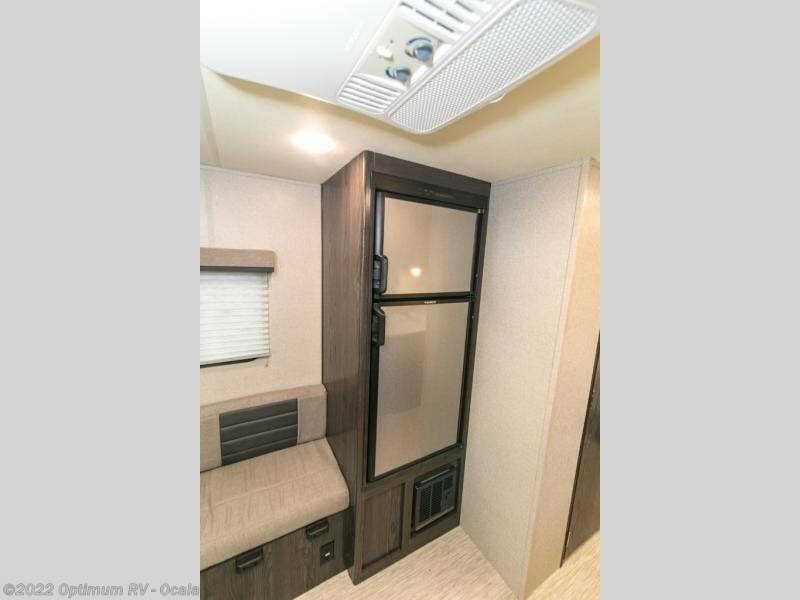 Inside, the USB charging ports will keep all of your electronics charged for the whole trip, and the LED motion light in the bathroom will help to provide an efficient use of electricity. 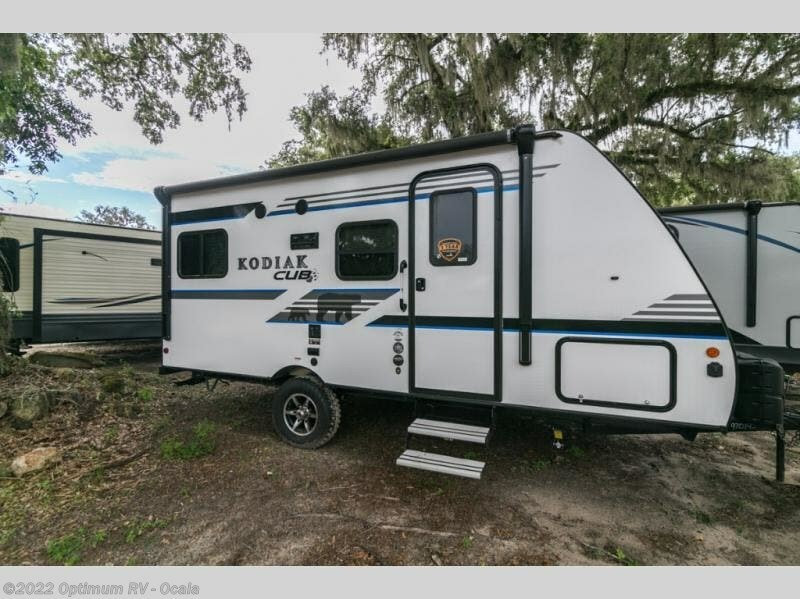 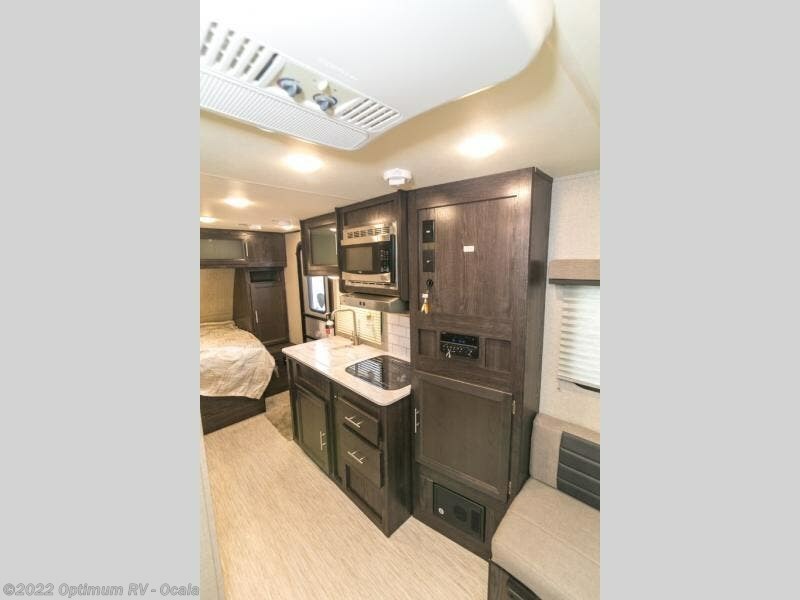 You can expect to travel with a greater peace of mind in a Kodiak Cub because of the extra layer of protection that the Dutchmen RV 3-year limited structural warranty offers. 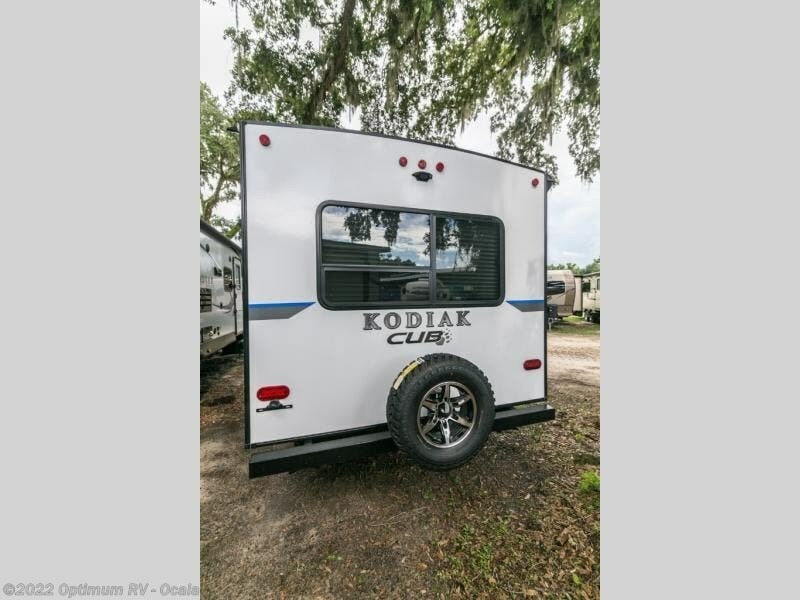 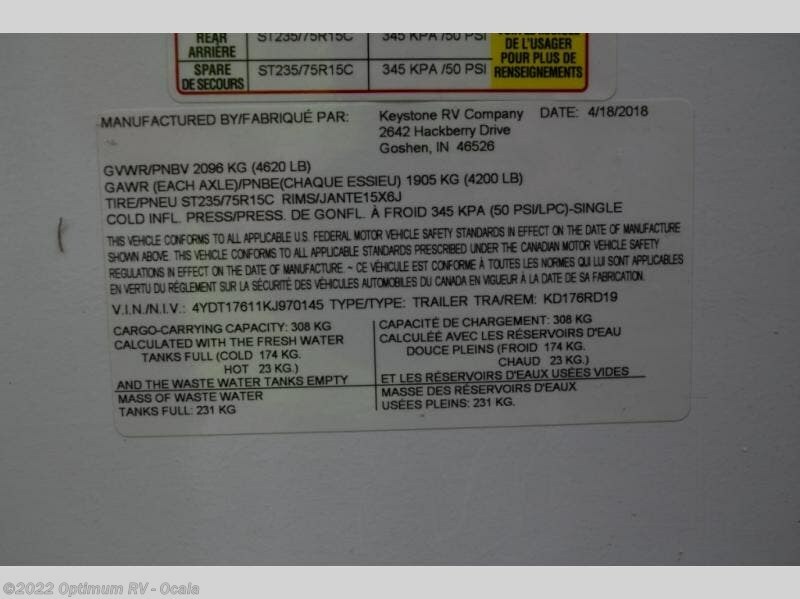 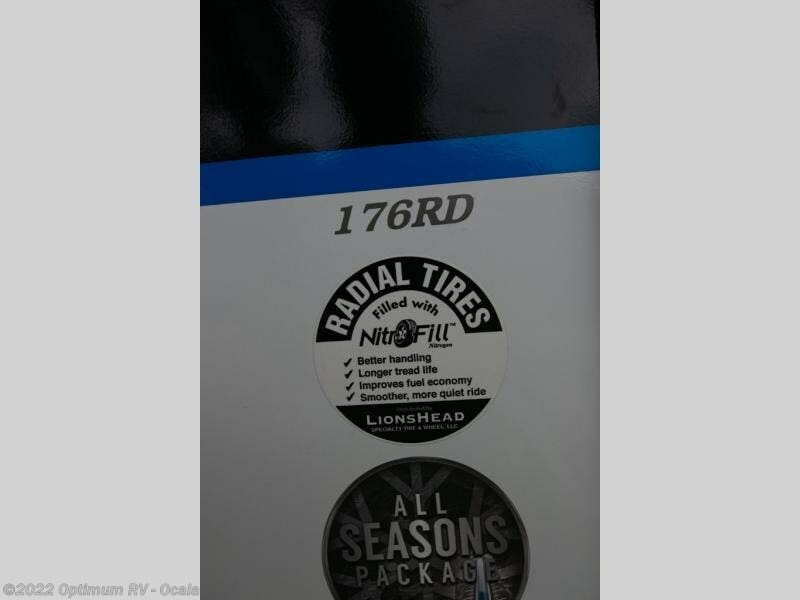 Check out Stock # 0KK145 - 2019 Dutchmen Kodiak Cub 176RD on dutchmenrvs.com!